Banking in tax havens isn’t illegal, but it’s becoming harder. You don’t want all of your money to be on some tiny island. The days of a perpetual traveler with a Belize company and Seychelles bank account are coming to an end. Perhaps they are already over. An increased push for transparency, information sharing, and tax collection by large, western governments had led to the advent of tools like FATCA, CRS, and a strong OECD. Among that alphabet soup of tax-happy regulations is one simple truth: the days of zero tax, zero accountability, and zero reporting are coming to an end for business owners who want to move their operations offshore. Let me be clear: I am NOT suggesting that 100% legal tax reduction, or in many cases even tax elimination, is no longer possible. I am living proof that a successful entrepreneur can reduce taxes to near zero by using the tax code and making adjustments in your lifestyle. However, many of the setups that worked twenty, ten, or even five years ago are now dead in the water, and it’s important that you don’t create a structure that doesn’t work… or that you remedy an existing structure that doesn’t work or is non-compliant. Tiny islands with no rules are increasingly falling out of favor as new regulations ensure that “hide and seek” is replaced with “show and tell”. For some time now, I’ve been saying that “onshore is the new offshore”, and in this article I will lay out several of the reasons why I believe that this is an unstoppable trend you must be aware of. What is onshore? What is offshore? 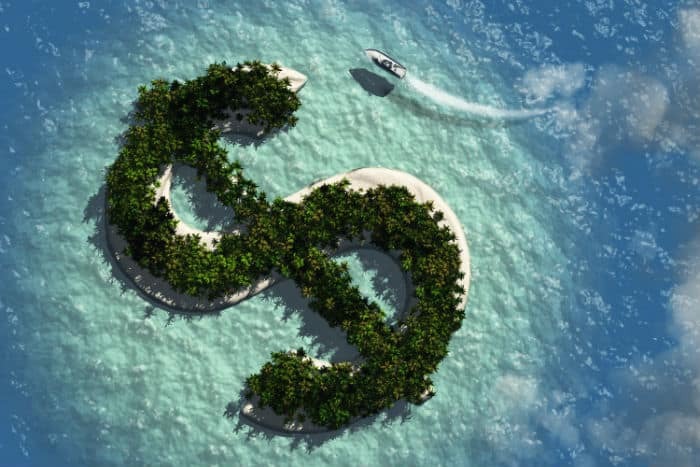 “Offshore” is often used as a catch-all term to describe the experience of legal tax reduction by using companies, bank accounts, and increasingly your physical presence in countries you aren’t a resident or a citizen of. Side note: Of course, some faceless promoters online engage in illegal offshore tactics, but quite honestly it doesn’t take nearly as much work to do things illegally as it does legally. Since none of us looks good in orange, I always suggest the legal, fully compliant approach. Anyway, when we talk about “offshore strategies” here at Nomad Capitalist, we are referring to this catch-all. Recently, I worked with an Australian guy whose strategy heavily relies on US bank accounts for his “offshore” strategy. In another case, I helped two guys from the US who set up a company in Bulgaria. 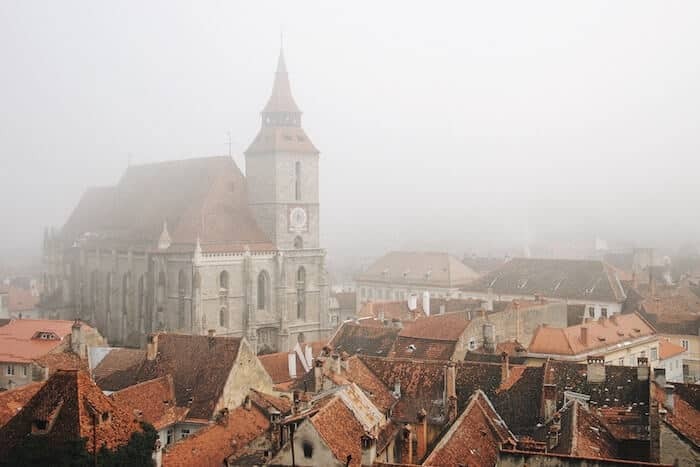 Both countries – the US and Bulgaria – are well-regarded countries, and far different than some tiny island with tight-lipped bankers sipping rum-and-cokes on the beach. However, in each respective case, the onshore country was able to help us achieve offshore-like tax reduction results. Bulgaria and the United States are definitely onshore jurisdictions, but in these cases achieved an offshore-like result. If you could achieve the same end result with a company in Canada as you could with a company in the Marshall Islands, would you really care which one you used? This is why I so often advise people considering on living the Nomad Capitalist lifestyle to consider the END RESULT, rather than chase after shiny objects that may or may not cover all of their needs. For the purposes of this article, I will use the term “offshore” to describe traditional zero-tax jurisdictions, often referred to as tax havens. These offshore countries are generally tiny islands in the Caribbean or South Pacific. However, they can potentially also include countries like Cyprus where the offshore financial sector has potential to be bigger than the domestic financial sector. The main distinguishing features of a traditional offshore jurisdiction is an irrelevant local market far outpaced by the presence of foreign money. In this article, I will use the term “onshore” to describe countries that are more developed, and have more developed financial markets. These countries are generally not zero tax countries, but can often offer very low taxes. More importantly, they may allow some foreign investors to pay nothing in tax, even though the country itself has a tax system in place. The United States is decidedly an onshore company; go to your average US bank and most people there are depositing a Social Security check or money from their lawn mowing business. Hong Kong is something of an onshore-offshore hybrid with a good reputation in some areas, and a lesser reputation in other areas. What makes them both onshore is that they are real countries with real business activity and not totally reliant on those seeking low taxes. In fact, the average person living in an onshore haven may have no idea that such options even exist. Now that we have definitions laid out, allow me to begin. Most developed world banks don’t like offshore, and most developing world banks are scared of losing their lifeline to the developed world that their customers so badly need. Understand what I’m saying here: offshore banks still exist. It is still both legal and technically possible to send money to an offshore bank in Vanuatu or Belize or the Seychelles. However, you first need to get your money there, which means that either you or your customers will have to send money to the offshore bank, likely by wire. Imagine walking into a bank in Kansas and announcing to the teller that you want to wire $50,000 to the Seychelles. Chances are that yours is a rare request, and would likely be treated by cautious curiosity and even suspicion. That’s increasingly the problem. Awhile back, a gentleman – let’s call him Mark – came to me because his merchant account provider refused to continue sending the money he collected from customer credit cards to his Mauritius bank account. The merchant bank was engaging in the increasingly common process of “de-risking”, and had decided to only send money to a handful of “white list” countries. That meant that Mark had money piling up in an account, but couldn’t access it until he got a bank account in one of those countries. However, few banks in those countries wanted anything to do with his offshore company, which put him in a dangerous position. Ultimately, I was able to work out an onshore-offshore hybrid solution for him, but by the time he came to me he had lost two months of access to cash flow. Similarly, some banks cause difficulty or even outright refuse to send money overseas. Not long ago, a friend of mine indicated that his banker in Andorra refused to send money to any country they deemed, in their sole discretion, a “tax haven”. It didn’t matter that my friend lived in one such tax haven; he could not send his own money to himself offshore. The process is the same for many entrepreneurs; have your clients wire money to Montserrat and they may get the third degree. None of this is to say that it’s impossible to wire money to offshore jurisdictions; it’s not, and there are even some new solutions that can make it easier in certain circumstances. However, the trend is not positive. In the reverse but similar situation, you may have increasing difficulty sending your money back onshore. Now, if you want to keep your cash in Vanuatu, that’s great. However, you may prefer to offshore business to bank offshore, while you get paid in an onshore bank account in Singapore, as an example. Increasingly, the Singapores of the world – and even more so European countries and the US – are asking “what is this money from Vanuatu?”. If you’re playing everything by the book, you can simply tell them the truth, but that doesn’t mean they will like it any more. While most banks will claim you are free to receive money from anywhere, they may crack down if you are bringing back onshore. Thank the money launderers and terrorists for this. Just as onshore banks are increasingly prickly receiving money, so too are many offshore banks. The one thing a prominent onshore bank such as HSBC, Chase, or ANZ has in its favor is size: large onshore banks can make mistakes and usually get away with a slap on the wrist. Smaller offshore banks are not usually so lucky. If a bank in the Caribbean is found to accept so much as $1 from a company that works with a company that’s own by a Sudanese guy, they’re screwed, and the developed world institutions they rely on to process their payments will merely cut them off. That’s obviously a risk no bank wants to take, which is why many offshore banks will question every dime coming in or out. That doesn’t mean you can’t use the account, but it does mean that you may waste a lot of time sending every minor invoice. Again, there are some offshore banks – particularly boutique private banks – that get to know their customers and will let you operate with greater flexibility over time. These will come with higher fees and start-up costs; there’s always a trade-off. Sure, there are high-risk merchant accounts, but obtaining them is like stepping into the 1990s. Visit the websites of these high-risk merchant providers and you’ll be one step short of hearing a MIDI soundtrack playing in the background. The rest are just opaque. Obtaining a merchant account in a developed country is easier than ever thanks to services like Stripe, but those services aren’t available in any offshore jurisdictions. Even Stripe in Hong Kong wants you to actually be in Hong Kong, not just have a company there. The challenge has always been balancing the tax obligations in the high-tax countries where merchant accounts are readily available against actually running your business. If you need to accept credit cards, it may be worthwhile to consider an offshore-onshore hybrid approach that lets you operate with “first world” partners and services, but without the high taxes. A few years ago, there was a small but healthy number of quality onshore banks accepting offshore companies from the BVI and similar jurisdictions. Today, I’m hard pressed to think of more than several quality banks that reliably open accounts for offshore companies even 50% of the time. Let’s make an important distinction here: you as an individual may still have access to these quality onshore banks. For example, many years ago I was able to open an account at the best bank in Singapore using my US passport. In my case as a “natural person”, my jurisdiction was the United States… not one the bank was worried about. Someone carrying a Gabonese passport may have received a different reception. When it comes to companies, or “legal persons”, the jurisdiction is where the company is organized or incorporated. Many banks now only accept local companies, and in the case of Hong Kong not even then. That means that a Bulgarian bank may want to work only with Bulgarian companies, and you’ll need a Bulgarian company to be welcome there. 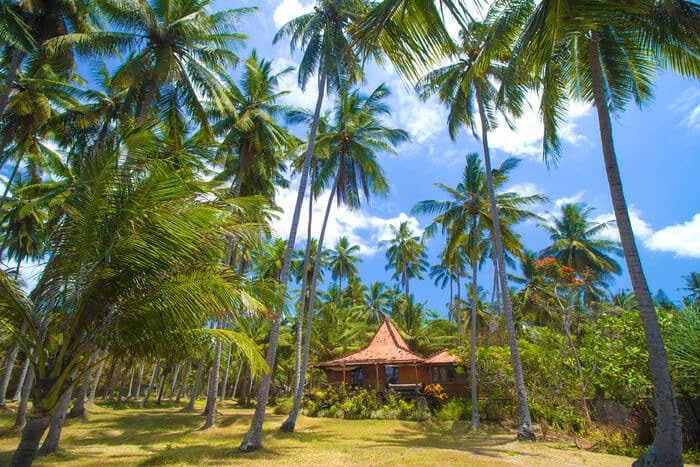 Try to open a quality account at a stable bank in a stable country with a Marshall Islands company or a Seychelles company. Good luck, especially if you’re a US citizen or just starting out. Some banks in Switzerland or Liechtenstein may open accounts, but not if you’re an American or low on funds. Having a company in a respected jurisdiction will be an imperative step to take both now, and increasingly in the future. If you already have a company in some off-the-radar country, you might want to reach out to discuss if an offshore-onshore hybrid solution would put you in a better position, or whether you need to scrap your current setup entirely. As with anything, you have to tailor your pitch to the audience; most bankers have no idea what a “perpetual traveler” or “digital nomad” is. At best, they’re be confused and just keep asking you “no, but where do you LIVE?”; at worst, they’ll refuse you service because they think you’re up to no good. The more you and your structure are onshore, the better; you want to look like the reputable person you are. That increasingly means having a home address where you actually spend at least some time. It also means presenting a reasonable mix of offshore tax savings and onshore reporting requirements. For years, offshore banks and jurisdictions have propped up their local economies offering “no rules” services to anyone. Countries like Vanuatu made it a crime for bankers to disclose information to foreign authorities in order to attract people who didn’t want their affairs disclosed in order to hide from the law or the taxman. Again, the era of opacity is over. Today’s offshore world is one of transparency, and whether we like it, most of us will have to participate. Even if you’re willing to keep your entire business and fortune in the offshore world, your developed world citizenship will subject you to information sharing and reporting requirements. Here’s the deal: “no rules” doesn’t work. Having some rules actually works in your favor, because it shows you are a reputable person. 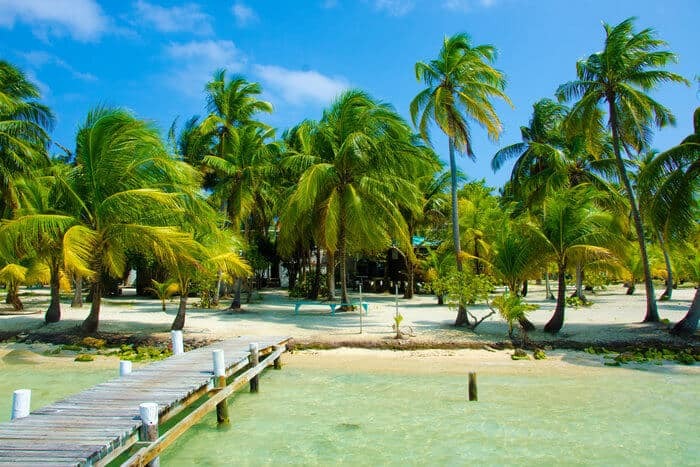 Personally, I think that if Belize wants to allow its IBC companies to merely pay an annual renewal fee without filing audited reports, they should be free to do so. However, you must consider things from a bank’s perspective. Banks are under incredible scrutiny to stop money laundering, terrorism, and all of the other boogeymen that high-tax countries use to excuse any grab at wealth or freedom whatsoever. That means that your banker will be increasingly afraid to deal with any structure that involves a total lack of rules. Having a company that is totally opaque, files no reports, and maintains no records sounds great, and if you’re a legitimate business you might not think anything of it. However, the world is changing in a way that living without any rules at all will increasingly make you a pariah. Remember, going onshore doesn’t mean taking on massive amounts of tax. I’m not suggesting that you simply stay put in California or Queensland and keep forking over half of your income to the taxman. What I am saying, however, is that adding some onshore elements to your tax savings plan is increasingly important. If you’re making the move to lower taxes, consider not only legal tax reduction or elimination, but operational efficiency. If you can’t receive the money you earn, the most tax-optimized structure int he world won’t help. If you’re just diving into this world of lower taxes and more freedom, make sure you set things up properly. Start by focusing your gaze AWAY from shiny objects: specific structures sold as a commodity and not as a solution. If I gave you a violin and you had no idea how to play it, the violin itself would be of little use and would just take up space in your house. Similarly, a Belize company could work for somebody who has taken the time to learn how to use it, but is worthless on its own. 2. Sell lots of different commodities and pretend to add value by distinguishing among minor differences. I’ve had people who spent $500,000 to get second passports for their family tell me this is the process they encountered, as well. The last thing you need is an offshore supermarket that offers apples, bananas, papayas, and lemons, but leaves the decision of which is best up to you. As I often say, an offshore company in and of itself is just a pile of paperwork. A tax strategy that doesn’t actually work legally is just a collection of bad ideas. Take the time and make sure that you address all aspects of what you need in your offshore plan. Increasingly, that means being onshore.